Many times the emails sent either do not reach the target audience or are filtered out by customers since they are irrelevant to their current tastes and preferences. 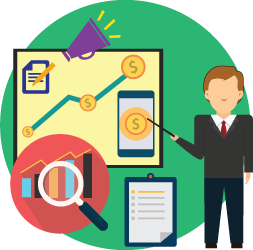 As a result, low number of leads/conversions occur resulting in spending your marketing budget without any ROI. Nikoways implements various techniques that have proven to increase the response rate. 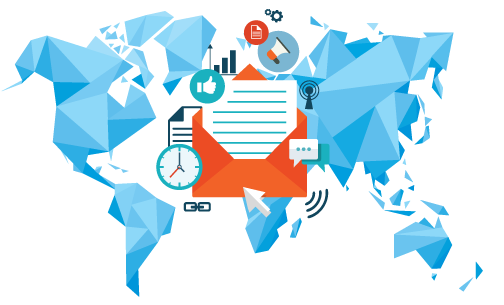 Effective email marketing campaigns are essential marketing tools needed to market the products and services in less time and reach large audiences. Strategy is formulated in consultation with customer and a regular follow-up is maintained. Innovative responsive email templates are developed to suit the requirements. Creation and maintenance of a healthy contact list is regularly scheduled. Customer segmentation for proper email targeting is a key part of the campaign. Creation of an attractive landing page and a lead capture process is implemented. Campaign tracking, analysis, and reporting are timely completed. We develop innovative sales and marketing collaterals to help move prospective buyers further in the sales process. We have put together a definitive list of collateral needed to succeed in the business today. We believe that an on target business collateral can keep the products and services on top of the mind of your potential customers. Infographic is an artistic process that unites creativity and technology to convert complex information into an interesting graphic. Our graphics personnel creates compelling graphical designs which perfectly match the customer requirements as well as are aesthetically pleasing. The process starts by listening to client’s story and asking questions about the challenges, goals, and aspirations. Detailed research provides insight into the target audience, environment, timing, requirements, and constraints. Our design team develops creative design choices keeping the creative brief in mind. The solutions provided are an effective and elegant representation of brand’s identity across all media platforms. In collaborative meetings with the clients, as well as through our internal team meetings, we identify and articulate the approach to be followed, marketing strategy to be focused upon, core messages to be highlighted, content structure to display (wireframes) and capture everything in our creative brief. We take regular feedback from our clients and track the success of the designs. This feedback is used to innovate and improve the designs to improve consumption. We believe that making a presentation is an art as well as science, and we are proficient in both. Business presentations include sales presentations, product launches, and key training sessions. Our creative and designing experts know how to put best presentation in front of audience through storytelling, animation, data representation, graphs, and images.